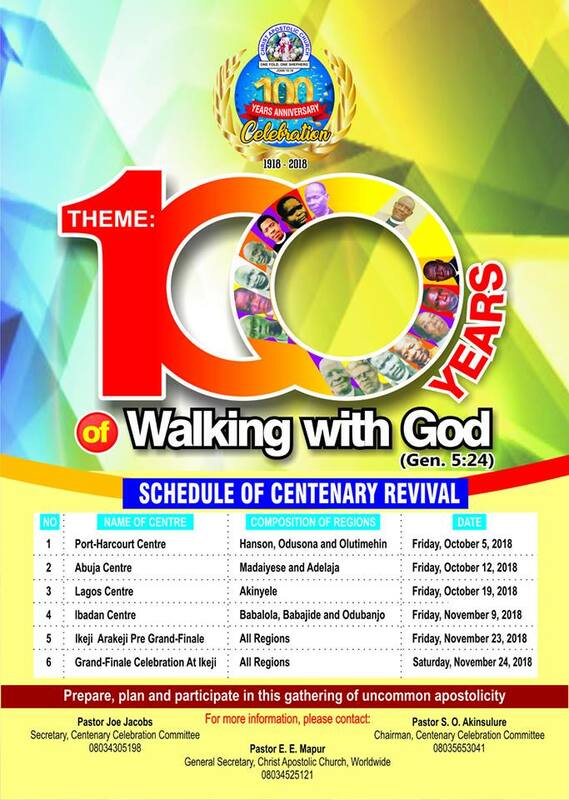 The General Evangelist of Christ Apostolic Church Worldwide, Prophet Hezekiah O. Oladeji has noted that end time revival will come when the people of God are ready for God’s move. According to him, revival is needed when something that has been alive and active suddenly went dormant, adding that when such thing slumbers, there is need for revival. "What is the state of the Church in Nigeria today? Generally speaking, the Church needs revival. When holiness, righteousness and love for others are no longer the hallmark of Christianity, there is need for revival." 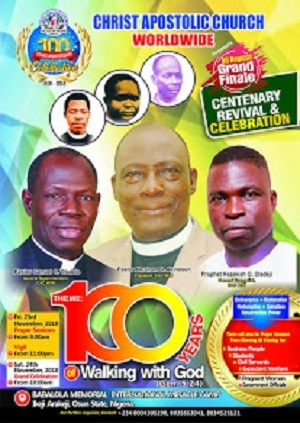 "As for Christ Apostolic Church, it is generally believed that this first Pentecostal Church in Africa needs revival. We are no longer seeing our signs. The Church must realise that it needs revival when there is overwhelming evidence that things are not what they used to be. This Church used to bask in the power of God for healing and deliverances. This Church has reputation for holiness and righteousness." "The interesting thing is that the leadership and the entire membership of the Church have realised that there is need for revival. We are praying for revival to happen in our own time and we are also ready to do whatever God prescribe for us to do in order for this revival to come in our own time," Prophet Hezekiah explained.